Studio UrbanArea LLP is a sustainable design & town planning partnership based in Newcastle upon Tyne. We undertake work with a sustainable, ethical and community focus, providing project support for neighbourhood planning, urban design, public art, community development and applied research into low / zero carbon developments. This blog is a working collection of ideas we like and projects we are involved in that are worth sharing. 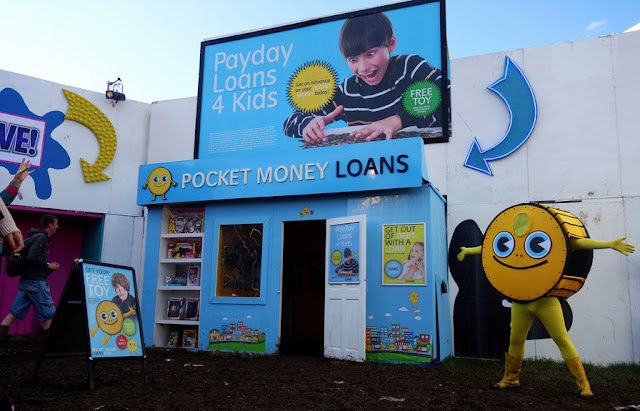 Amazingly funny and not funny together ... Pocket Money Loans as a form of satirical art. Darren Cullen visited Newcastle with this exhibition in October. The Hunger Games UK - In the face of Brexit, the UK government continues to cut welfare payments, raise pensions and give tax breaks to the wealthy. What will this lead to? - I love this - this is genius storytelling, funny with a serious message.